Order your event Jersey as part of the registration process. 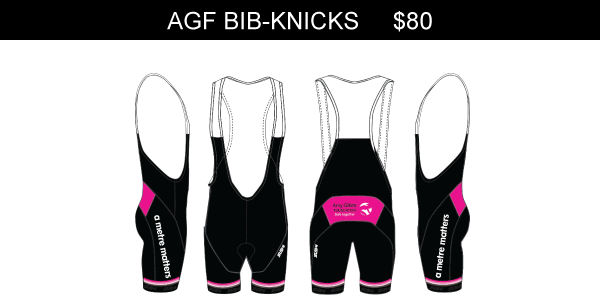 Match with AGF Bib-Knicks and/or AGF Gilet. 1. Event Jerseys will be posted in early April and will be subject to a $19 postage & handling fee. 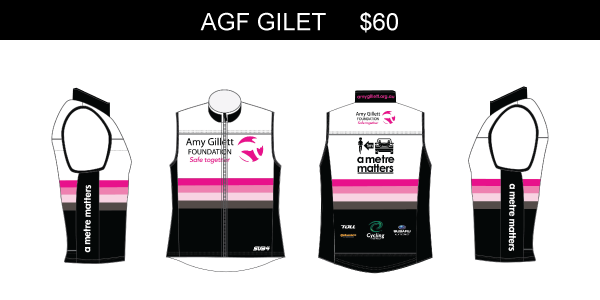 Scan the QR code below, click on the graphic or search Amy Gillett in your App Store to download the AGF App. The AGF App allows you to keep up to date with messages, directions to key event locations, access sponsor discounts and more. Sponsor discounts are currently avaliable from Europcar, Winners Sports Nutrition and Henry Carus & Associates. Save 10% off the best rate of the day across the entire range of Europcar vehicles including prestige in Australia & New Zealand.